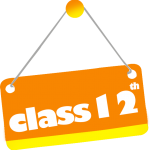 Which pricing do you suggest for students in 12th Class? Basic, Advance, Face to Face and Mentorship – all four are designed for 12th class students. Even if you end up taking Basic – you can always upgrade it to next plans by just paying the differential amount. We can suggest you to start with Basic and gradually upgrade it to Advance and Mentorship. If you think your child is a go-getter individual then Mentorship Package will further make him sharp and focussed. Do you offer discounts for meritorious students of 12th class?